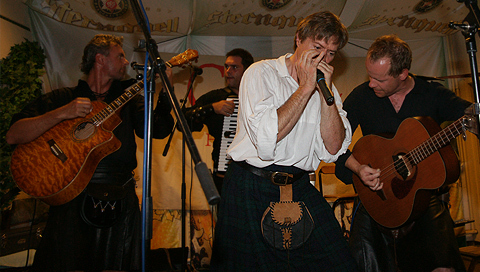 In summer 2000, the idea for the project „Mundharmonika live" came up. Some musicians addicted to play the mouth organ came together in the city of Klingenthal, the honey pot of producing these musical instruments for more than 150 years. Their intention was to call greater public attention on the mouth organs. Every year, the „night of live-music and culinary dreams come true" is considered as being the highlight of the festival. Guests visit the different locations by using shuttle busses. Public gigs, workshops and guided tours through the factory that produces mouth organs complete the festival. Every year, more than 1,000 guests come to visit the events that take place in more than 10 locations. The „bluesfactory" has been founded in the world‘s oldest factory producing mouth organs which is called „C.A. Seydel Söhne". Every man or woman calling him- or herself addicted to playing or listening to mouth organs needs to go there. Due to the participation and attendance of famous artists from the US, Brazil, New Zealand, the Czech Republic, Poland, Hungary, the Netherlands, Belgium, Germany and many more, the festival became an international highlight of the mouth organ‘s community. It takes place every third weekend in September and is attended by people from near and far.